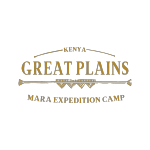 In essence, Mara Expedition Camp can be completely removed if need be, with specific attention applied to achieving this without compromising the levels of guest service and facility standards that Great Plains Conservation has become renowned for. 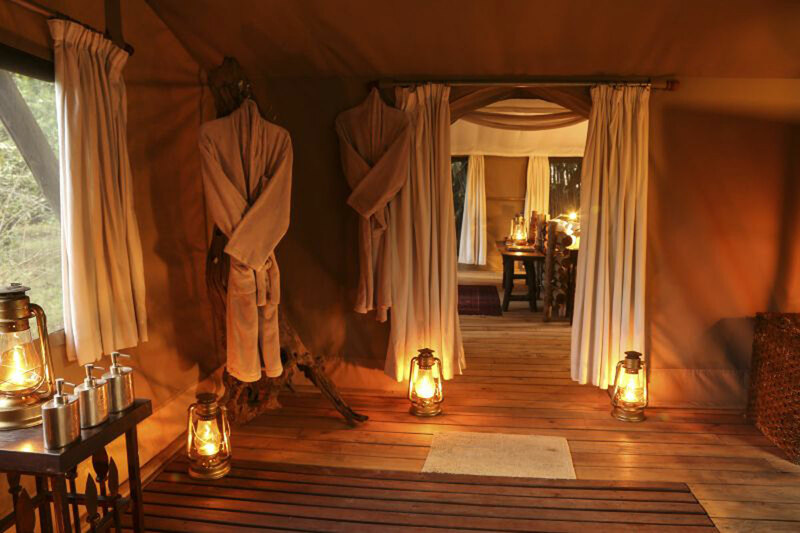 In the event of having to decommission the camp, the site can be very easily returned to the state in which it was foun(or even better). 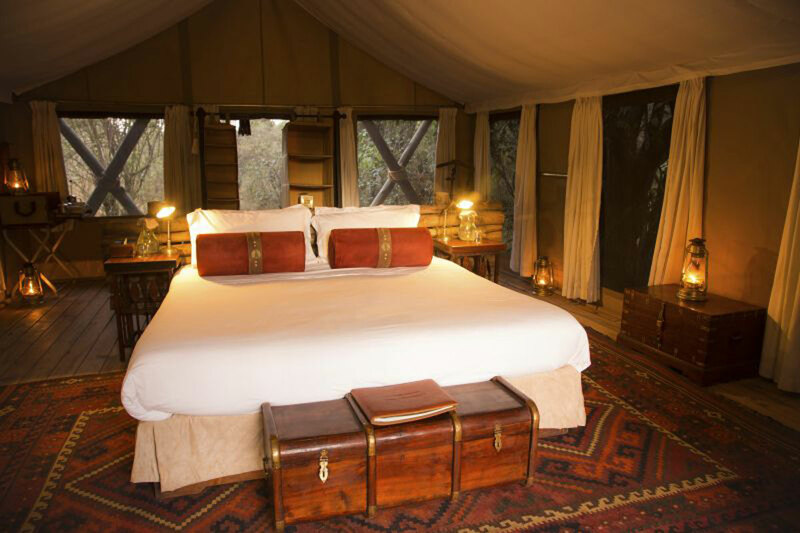 All materials used in its construction are “green” and/or recycled from elsewhere and, in keeping with our philosophy of touching the earth lightly, all of our energy is solar, with solid waste being separated and sent to Nairobi, a six-hour drive away, for recycling. 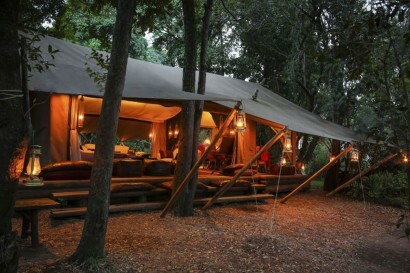 Paper and combustibles are used in the lighting of fires for the wood heaters when needed. 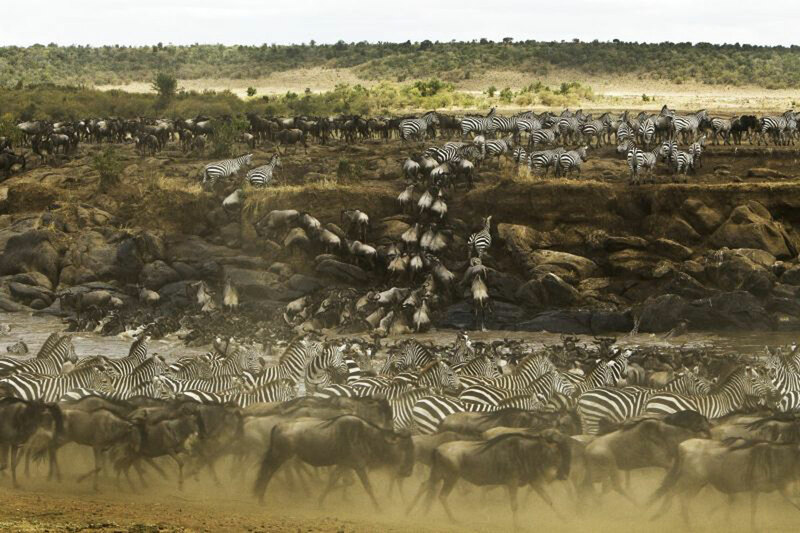 Our access to the Maasai Mara and Mara North Conservancy makes for a low ratio of guests to land, minimising our impact on the environment and wildlife. 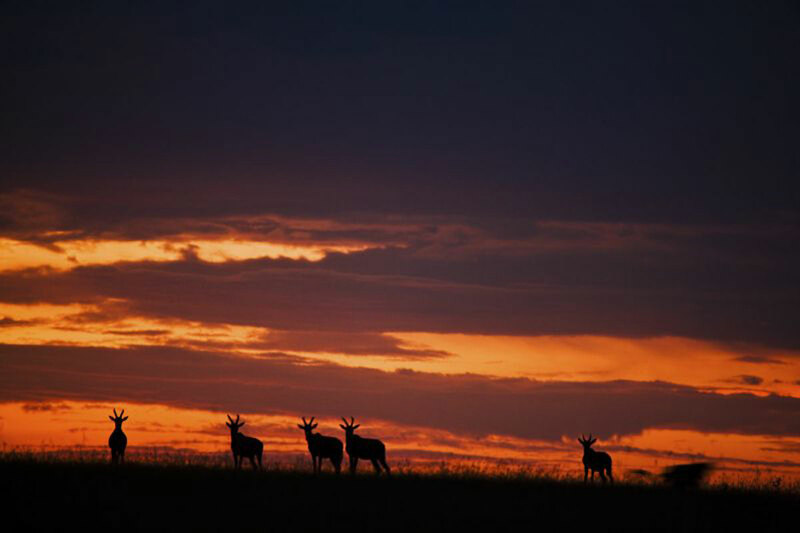 It’s a place of learning, where Africa teaches lessons that will change the way you view the world in one of the most incredible classrooms on the planet – the incomparable Maasai Mara. Located a few kilometers from Mara Plains, Mara Expedition Camp has been built on a small bend in the Ntiakitiak River, where a thick riverine forest meets the unending savannah in the north-central section of the Maasai Mara. 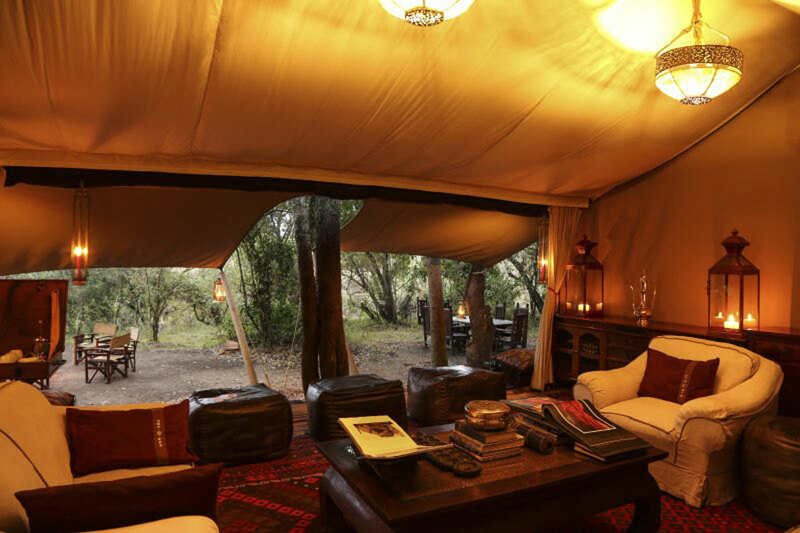 Guests are able to maximise their safari experience within the Maasai Mara Reserve all year round at Mara Expedition Camp with the camp only closed between the period 1 April to 14 June annualy. 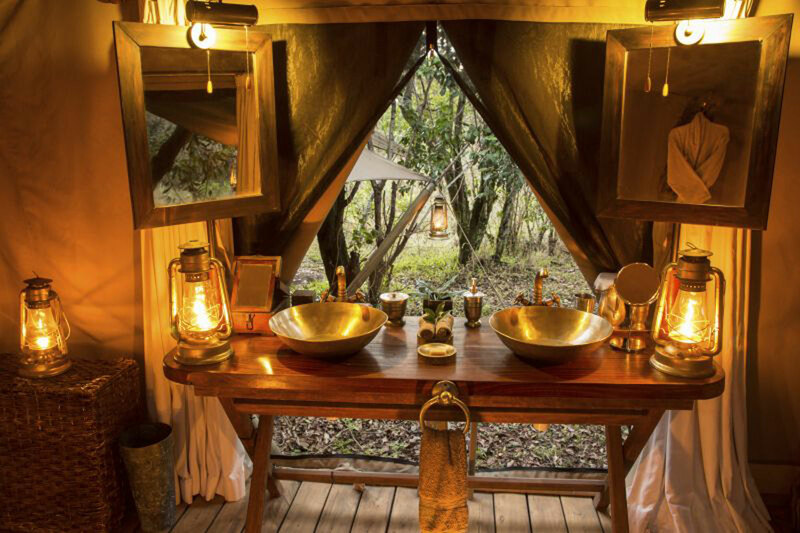 It’s a perfect hideout for this small, intimate camp, which has been constructed in the spirit of mobility and non-permanence out of deference to the wilderness, which surrounds it. 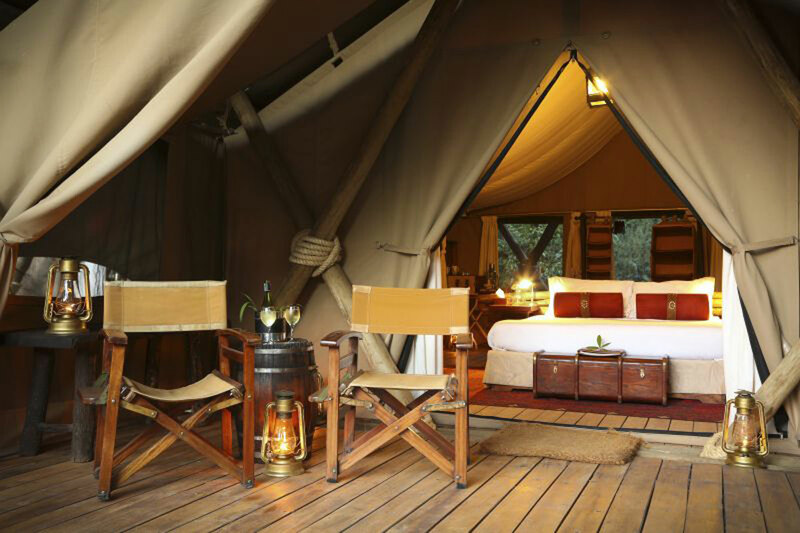 There’s an air of yesteryear in Mara Expedition Camp’s design, which draws stylistic reference from the old, authentic expedition camps of the colonial era. 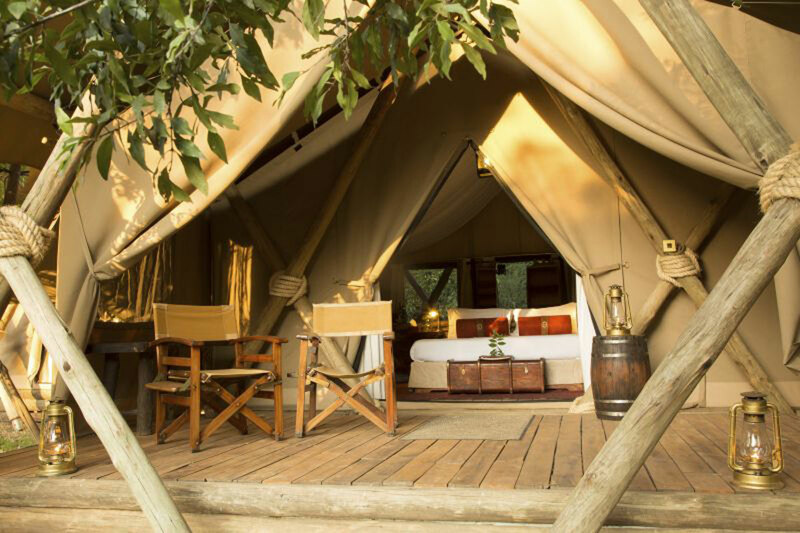 Temporary and transient in atmosphere, there is nonetheless a perfect blend of comfort, adventure and harmony in the camp’s five, custom-designed tents. 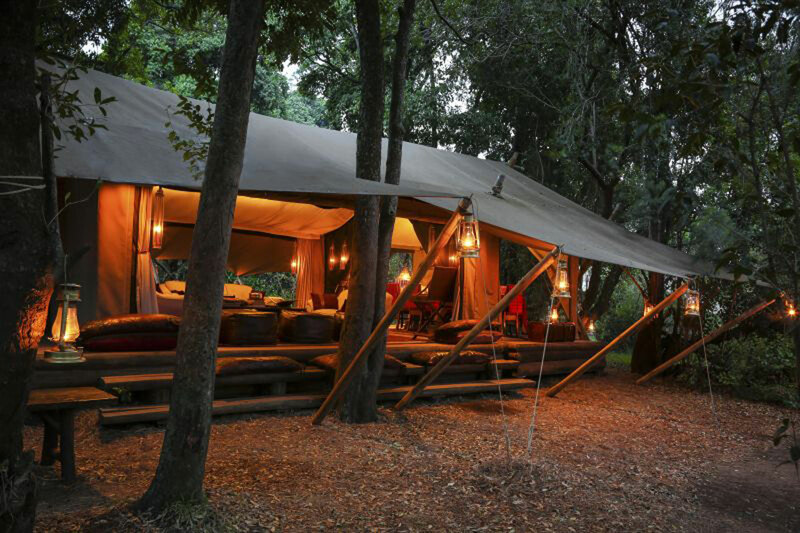 Set at ground level and shaded by the forest canopy, the tents forego fancy amenities but still leave you wanting for nothing. With flushing toilets, bucket showers and hot-and-cold running water, each tent is decorated with an eclectic yet co-ordinated assembly of what early explorers may have carried with them – brass chandeliers, old Indian campaign chests, rich leather and hardwood furniture – combined with rich textiles and soft cottons. But it’s out on the plains of the Maasai Mara and the adjacent Mara North Conservancy that guests really connect with Africa and live the explorer experience, surrounded by wildlife. The camp is in prime leopard territory and the annual wildebeest and zebra migration passes literally in front of your tent, offering you the chance to witness one of the miracles of nature first-hand from the comfort of your verandah. 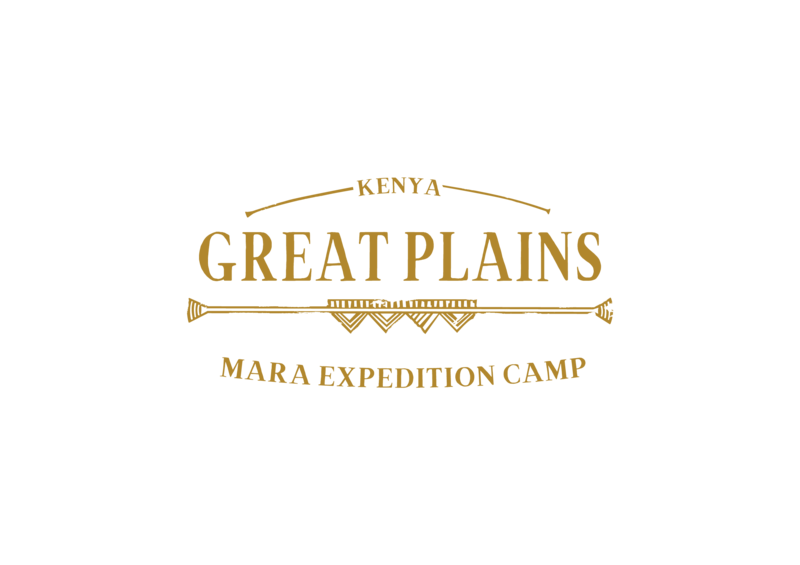 Mara Expedition Camp was completely rebuilt at the end of 2015 / beginning of 2016 so no immediate plans for any rebuild or renovations. 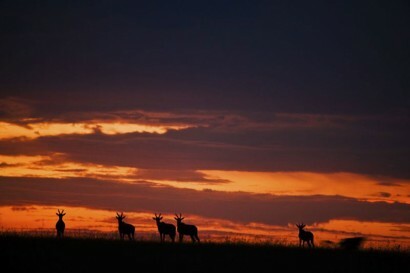 Wildlife viewing in the world famous Maasai Mara Reserve as well as the private Mara North Conservancy in open wildlife viewing 4×4 vehicles. Small initmate camp located ina private location within the Reserve. Private location within the world famous Maasai Mara Reserve of Kenya. Mara Expedition Camp has a total of 5 Expeditionary and Explorers style guest tents . 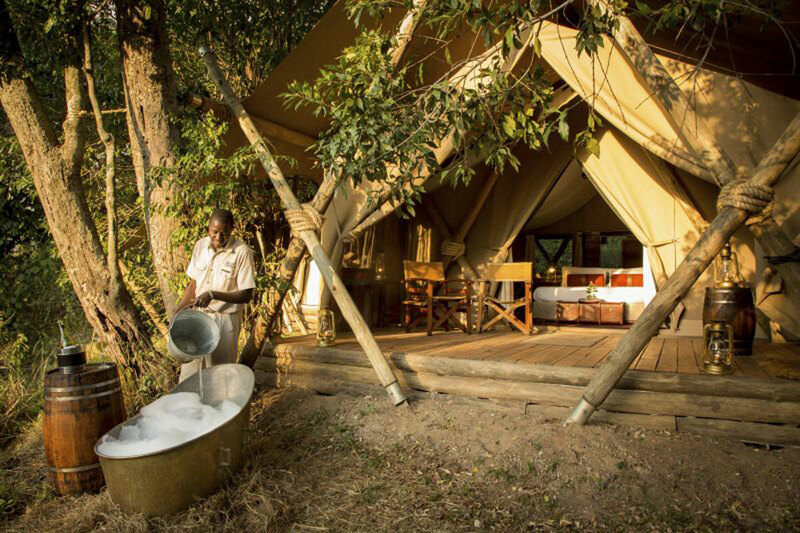 Each tent is raised off the ground annd offers private verandah, en-suite bathroom with indoor shower and vanities. 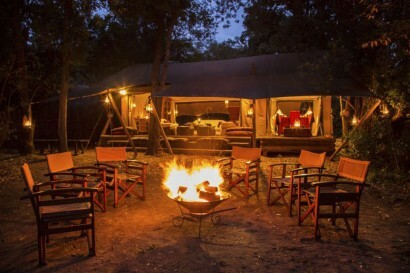 No wifi or private game drive vehicle available at this property. Mara Expedition Camp has 5 tents. 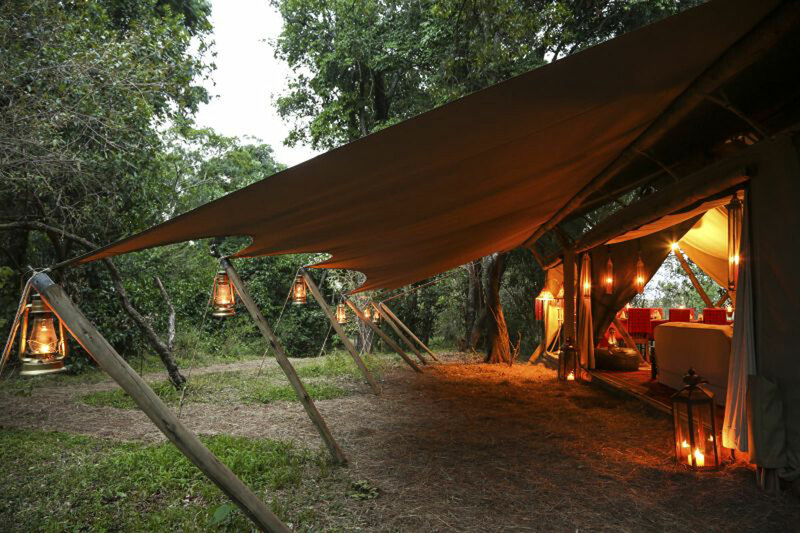 Dining opportunities are taken in the central dining area in the main camp area or under the canopy of trees in front of the main camp area. Early morning and late afternoon/early evening wildlife viewing game drives.